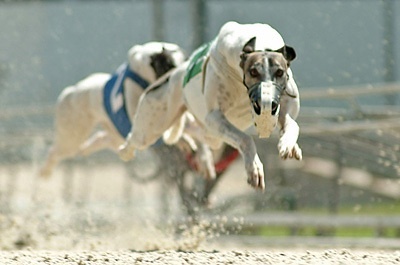 "I took my camera to the Naples Fort Myers Greyhound Track in Bonita Springs, FL," said Paul Tomlinson. "I was attempting to get down low (per one of Derrick's podcasts) to get a different angle on the subjects. I was dismayed that many of the images were out of focus, but darn it if these athletes aren't tremendously fast." Paul captured this shot with a Fuji S2 Pro using the Nikkor 80-200mm F2.8 at 200mm, F4, and 1/750 at ISO 100.